If your intending to visit Japan, then the first thing youll have to endure is the 12 to 14 hours of flight, Thats assuming your flying from the UK. Eat well, drink lots (preferably non alcoholic) and walk round even more. Its quite a long flight so make sure your fit enough for it. Prices for the flights to Japan start at around £550 with KLM via Amsterdam, but prices fluctuate with the time of year and with other airlines. Most expensive being around New Year and April/May as this is Golden Week, a Japanese holiday Period. 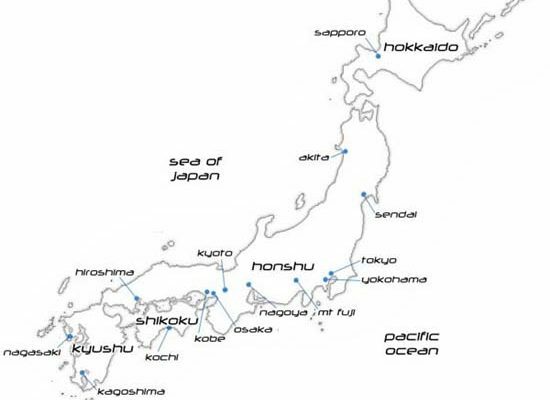 Destination Japan If you are visiting the west of the country then I might recommend that you arrive in Japan via Osaka (Kansai Airport) as an alternative to Tokyo (Narita Airport). The flight is slightly more expensive but you will almost immediately gain this money back as Osaka is centrally located. If visiting Kyoto, Hiroshima or Nakasaki then the extra 2 hour train journey from Tokyo (plus the extra train fare) makes Osakas Kansai airport far more attractive. You do not need any special visas or injections to visit Japan from the UK but upon arrival you will have to fill in a temporary visa form. This is just to tell Japanese customs who you are and where youre staying. It will only allow you to stay for 3 months, if your planning a longer trip then you will have to apply to your local Japanese embassy before you leave. These are quite difficult to get so apply at least a few months before you plan to leave. If youre traveling from place to place, then you will need a large bag. Note, that on some of the trains the guard will ask you to put the bag in the luggage spaces in the guards room, thats if its a biggy, say a rucksack. This is perfectly safe, as the guards room will be locked when the guard is not inside and the guard will ask which station you are departing so your bag can be waiting for you. Plus theft of this type of item is extremely rare in Japan. If you dont wish to stay in one of the western style hotels (which are expensive, expect £100+ a night in Tokyo) then you can stay in a Ryokan(meaning is house for tourists ) . A Ryokan is a traditional Japanese hotel. The main difference between this and a western style hotel is that everyone walks round in a kimono-like robe called a Yukata. This can be your nightwear but also its worn around the hotel. The floors are generally covered in Tatami and you are supplied with slippers for walking around the hotel. Ryokans also usually have large communal bathing areas. These comprise of showering and a shared bath. Oh! If you taking a bath in Japan and its already full of water when your about to get in, then you need to have a shower, wash yourself and rinse yourself throughly first. These baths are for soaking in, only! Get in and wash yourself and your host will not be impressed. Also, watch out because the temperature of Japanese baths is usually quite hot. About 42 degrees C.
Breakfast in a Ryokan is usually a traditional Japanese breakfast of rice, miso soup (Soya bean paste) and Japanese style pickles. Sometimes you might get raw egg to add to you rice. 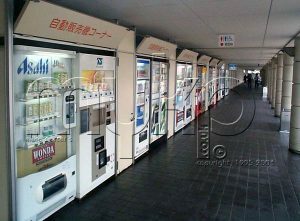 Vending machines, the Japanese have them everywhere. To sum up, Japan is a very different country with very different customs and a unique culture, which has to be experienced and absorbed. The Japanese people are in general very polite and Japanese society is a very ordered one, which is very easy to fit in to unless your a colonial ignoramous! If you are going to visit Japan, try not to be a westerner for the duration of your stay. The Japanese will love you the more you try to be Japanese and this will make your stay more pleasant. Its also important to learn a little Japanese language as English is rarely spoken, especially in rural parts such as Shikoku and Kyushu. In the past 4 years I have spent nearly 18 months there and every time I go I feel more and more of the culture seeping into my body. Sometimes its hard to come home. Its so nice to be somewhere, where you dont have to worry about crime or violence. Its the only country I know where a woman can walk around a major city at 3am in relative safety. If youre in Japan and need assistance on a particular tourist place then give the Japan Travel Phone a call. They are open from 9am – 5pm and for information on eastern Japan call 0088-22-2800 or 0088-22-4800 for information on western Japan. If you are within Tokyo or Kyoto city limits then call 3503-4400 (Tokyo) or 371-5649 (Kyoto). These two have a charge of 10 yen (5p) a minute from within Japan. 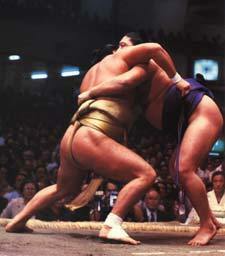 The Japan National Tourist Organization also have offices throughout the world. Their London office is at Heathcoat House, 20 Savile Row, London, W1S 3PR. or use the web address below.